Samuel Umtiti seems to have added fire to stories that he is close to a move to Manchester United. Jose Mourinho, who has now purchased two centre-backs in the last two summer transfer windows, used neither for the FA Cup final, which shows that he is still in need of a defender who can be the first choice next season. This has seen Manchester United linked with quite a few names recently, but one name constantly doing the rounds is Samuel Umtiti. The 24-year old is currently the first choice centre-back for Ernesto Valverde at Camp Nou, standing as a crucial part of the squad that lifted the La Liga title. He could also be starting games for Didier Deschamps in Russia next month, making him one of the most established stars in the game at the moment. But his situation at Barcelona has been far from comfortable. His current contract with the club runs down in 2021, but Manchester United are desperate for his signature, and are ready to meet his release clause, which stands at £54m for this summer. And to give the Red Devils some more encouragement, the French international has now revealed that his future in Spain is still uncertain. 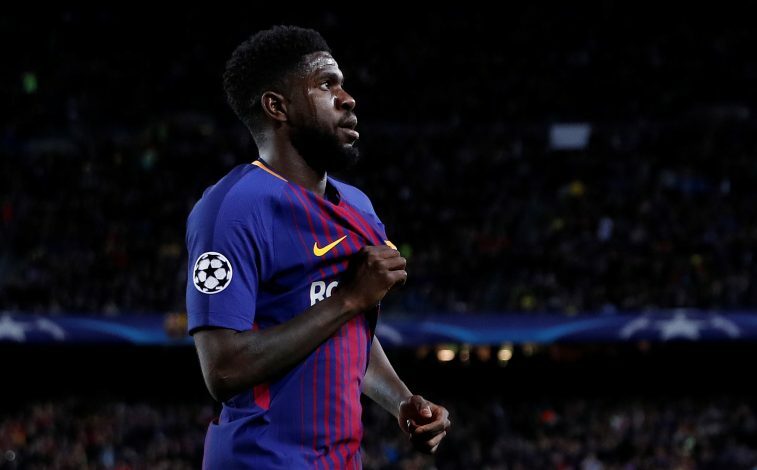 Speaking to the media recently, Umtiti claimed that he has not spoken with Barcelona about a new contract, and that he is yet to be offered one. It was earlier claimed that the Catalan giants are ready to tie him down for the long term, but have not yet offered Umtiti a chance to sign on the papers. ‘On my contract extension I have no news,’ Umtiti said. ‘I look at my phone but I have not been called so nothing has happened.